alls they wanna do is win. 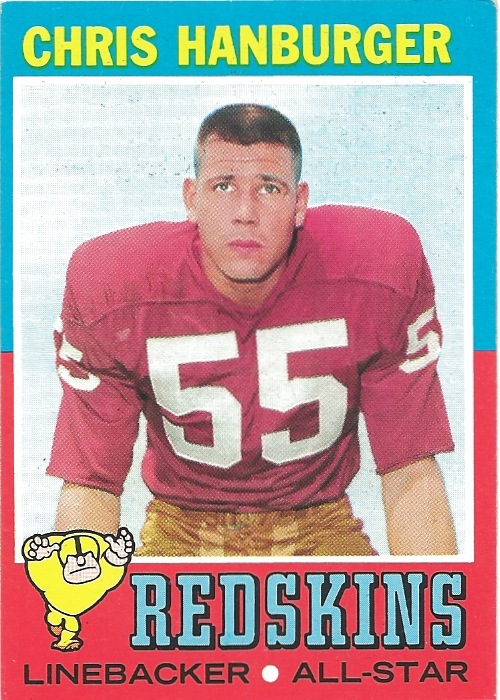 Big day for all you Redskins out there. The organization has a new head coach and I am really excited about it…until it bombs and I cycle back through my football depression. I think Jay Gruden will be a lot of fun. He has a pretty good sense of humor and a wonderful accent…sounds just like his brother minus the television schtick. Hail to the Redskins! Ok, enough about football teams. The real reason I want you to read this blog of mine is to let you kids know, I am putting my sorting and collating skills to work over here at the Hog household. 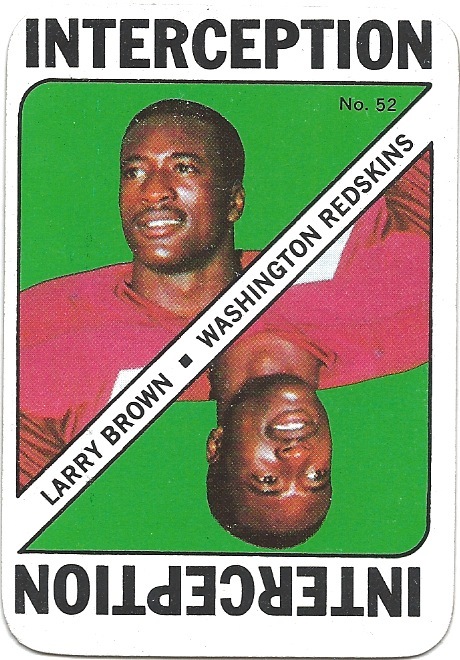 I’ve started work with the Redskins Topps cards of the 1970’s. There are some unbelievably wonderful cards and some very exceptional hair stylings like Mr. Hanburger. This guy. 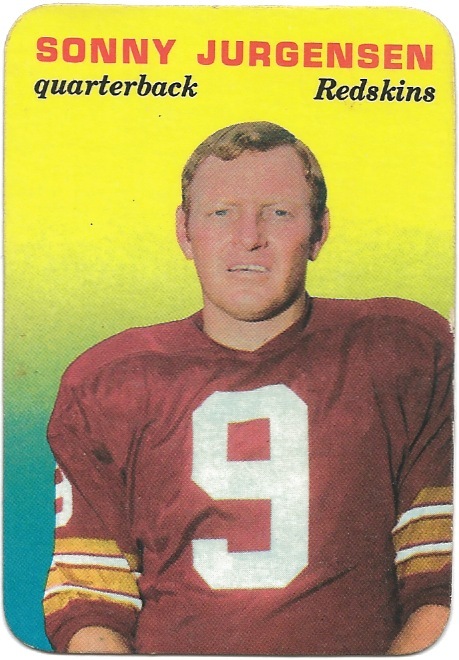 What about the good ol’ days when the Cowboys and Redskins played in NFC Championship games…and the Redskins won! 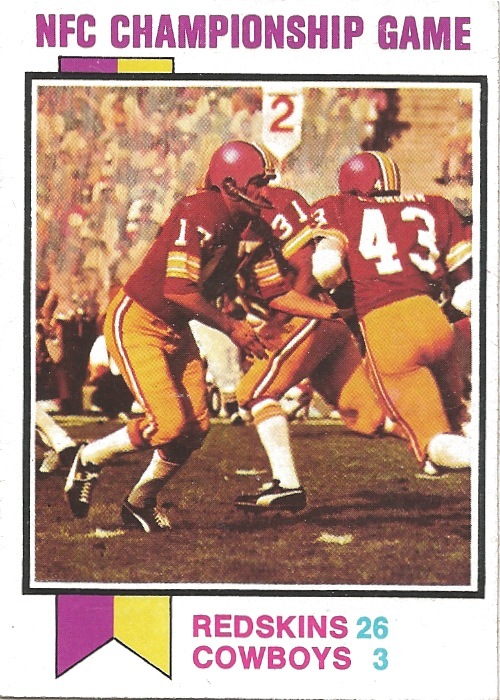 If you have some extra cards you are dying to get rid of or care to make a trade, take a look at my checklists for the 1970’s Redskins. I’ve managed to pick up a few little gems like this shiny and bright Sonny card! But I still have quite a few holes left to fill, so if you can help a brother out. You just let me know and send me an electronic mail my way to see if we can work something out. no more Mickey Mouse Horseshit football please. 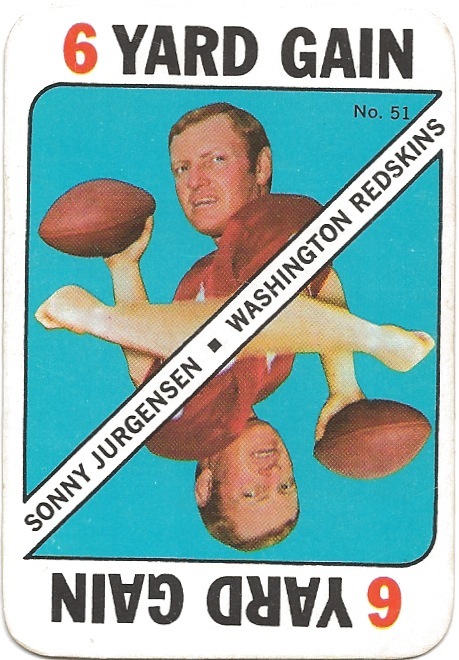 This entry was posted in Personal Collection, Washington Redskins and tagged 1970Topps, 1970ToppsSuperGlossy, 1971ToppsGameInserts, Chris Hanburger, Dallas Cowboys, Jay Gruden, Larry Brown, Personal Collection, Sonny Jurgensen, Topps, Washington Redskins. Bookmark the permalink.